When you can't always get everyone together for a gaming session because they live too far away, there's always programs like Roll20 so that you can still get gaming sessions in. They've recently released two new products you can use to enhance your Dungeons & Dragons sessions. The first is a new adventure, Waterdeep: Dungeon of the Mad Mage. The other is the Guildmaster's Guide to Ravnica. So if you want to get some loot on, or you want to further explore the realm from Magic: The Gathering, you've got your choices open. Layer upon layer of devious traps and classic monsters await at the click of a button! Roll20’s digital conversion of the latest D&D adventure, Waterdeep: Dungeon of the Mad Mage, puts the full book at your fingertips and on your screen for $49.95 starting today, November 9. You can also expand your lore options with eight new races and background options from the newly D&D-ready Magic: the Gathering setting of Guildmaster’s Guide to Ravnica, which also launched today on Roll20! In Waterdeep: Dungeon of the Mad Mage, adventurers have long converged on Waterdeep to test their mettle in the famous caves beneath the city. The mad mage Halaster makes his domain inside the Undermountain, turning each level into a unique playroom for his twisted imagination. Parties will venture everywhere from a forest refuge to an extraplanar challenge and meet classic creatures from menacing mindflayers to friendly flumphs. Every word, map, and monster has been converted to Roll20, taking care of all the preparation work so anyone can run this adventure right from their web browser. This official Roll20 conversion includes not only the fully converted adventure, but also a bonus token pack, map pack, and card decks that can be applied to any game. To make it even easier, all Roll20 Plus and Pro subscribers automatically received the “Dungeon Level” of the adventure free for use in their campaigns! 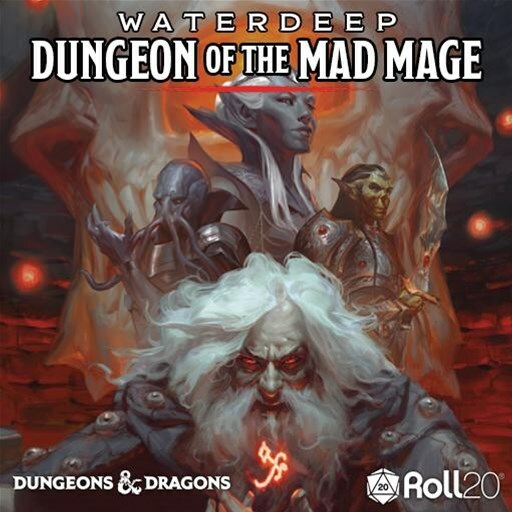 Delve into Waterdeep: Dungeon of the Mad Mage right now on Roll20 for $49.95! 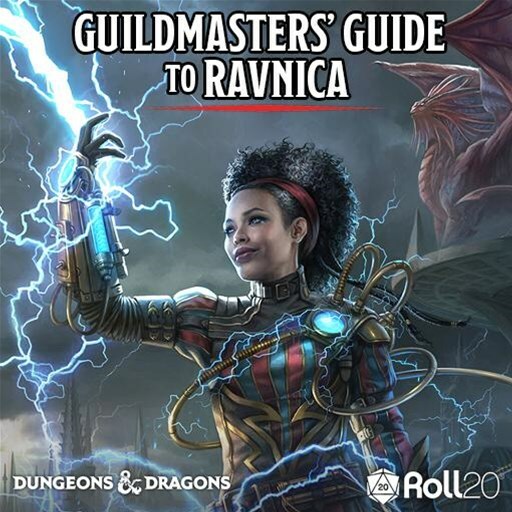 And don’t forget to grab a copy of the Guildmaster’s Guide to Ravnica, too!